Sputnik photojournalist, Vladimir Astapkovich, won first place in the ‘Sports’ category at the International Photography Awards (IPA) annual international photo contest. 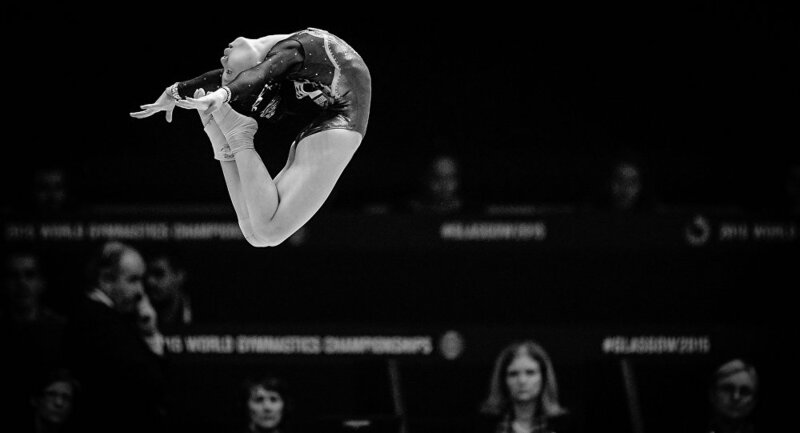 MOSCOW (Sputnik) — Astapkovich won with a series of photos entitled ‘Zero Gravity’, that was created at the Artistic Gymnastics World Championships in Glasgow. In this series of photographs Vladimir presents gymnastics as a space in which all the laws of physics and gravity are violated. He shows how athletes from around the world compete with each other and with themselves as if they are hovering in weightlessness. "Getting the recognition of the jury in the competition is always a pleasant surprise, especially in such a prestigious photo contest. In this series of pictures I wanted to show the beauty of the sport and the fact that athletes sometimes even overcome the laws of gravity for the best results. Looking at it, you sometimes cease to believe your eyes." Vladimir Astapkovich said. The International Photography Awards conducts an annual competition for professional, non-professional, and student photographers on a global scale, creating one of the most ambitious and comprehensive competitions in the photography world today. The mission of the photo contest is to salute the achievements of the world’s finest photographers, to discover new and emerging talent, and to promote the appreciation of photography. Sputnik Images is the photo bank of the Sputnik International News Agency and Radio with multimedia news hubs in dozens of countries. Sputnik broadcasts through its websites, analogue and digital radio broadcasting, mobile apps, and social media accounts. Sputnik newswires operate 24 hours a day in English, Arabic, Spanish and Chinese. Sputnik has websites in over 30 languages, including English, Arabic, Spanish, Italian, Chinese, Polish, Portuguese, Serbian, Turkish, and French. Sputnik websites offer a variety of content which ranges from infographics, videos and photo reports to online broadcasts and polls. Besides the latest news, Sputnik also publishes analytics and exclusive interviews.